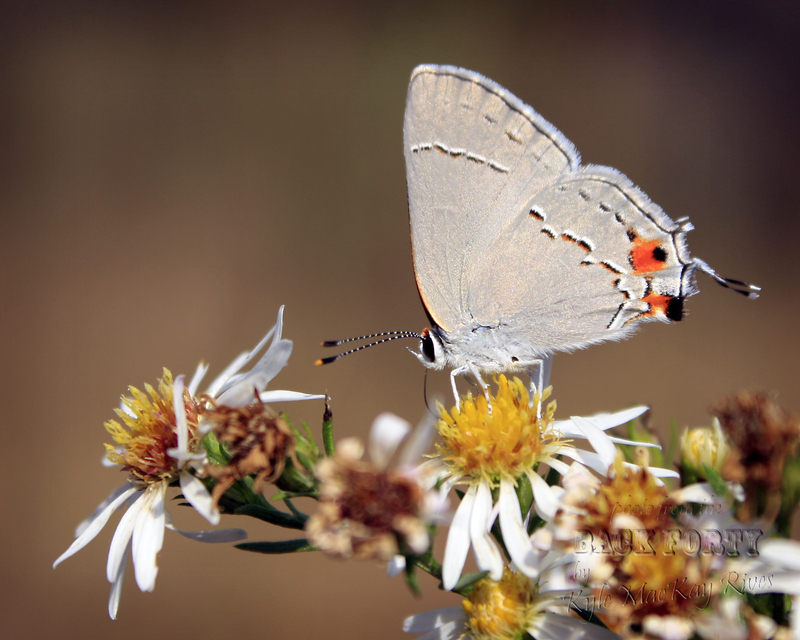 Multitudes of small, silvery butterflies flutter around these flowers on warm summer days. Until looking at the still images, I was unaware of their secret beauties. The delicate, black and white striped antennae tipped in golden yellow is the most striking hidden feature. I also love their furry little faces and the false eye and face at the other end that might serve to trick predators into attacking a less vulnerable part of their anatomy, hopefully giving them a chance to escape. I have always loved being out in nature, but the camera both gives me “permission” to spend more time outdoors and also reveals so many lovely little secrets that I couldn’t (or didn’t) spot with my own, “normal” vision. I hope I am becoming more observant and also winning my lifelong fight to grant value to the artistic side of my personality, rather than dismissing it as unuseful or not worthwhile. This entry was posted in afternoon flashback, photography and tagged 2011, afternoon flashback, beauty, Butterfly, insect, nature, outdoors, photo, Photograph, Photography, secret. ← Some Itches Just Gotta Be Scratched! The only thing that came up was: WOW!